A sign at China airline VIP lounge in Taiwan on the day we flew back. Several years ago when I was in Taipei, Taiwan, I witnessed a demonstration on the street. I asked my friend what was going on. My friend told me that they wanted to stop importing beef from U.S. “Why?” I asked. “People said that cows in U.S. had gone through some process (DNA alternation?) so their meat would be leaner,” they said. I shrugged. “We eat beef often,” I said. Last Nov. , this sign caught my eyes. This entry was posted in Cee’s Odd Ball Photo Challenge, photo. Bookmark the permalink. A fascinating window into how others see us. 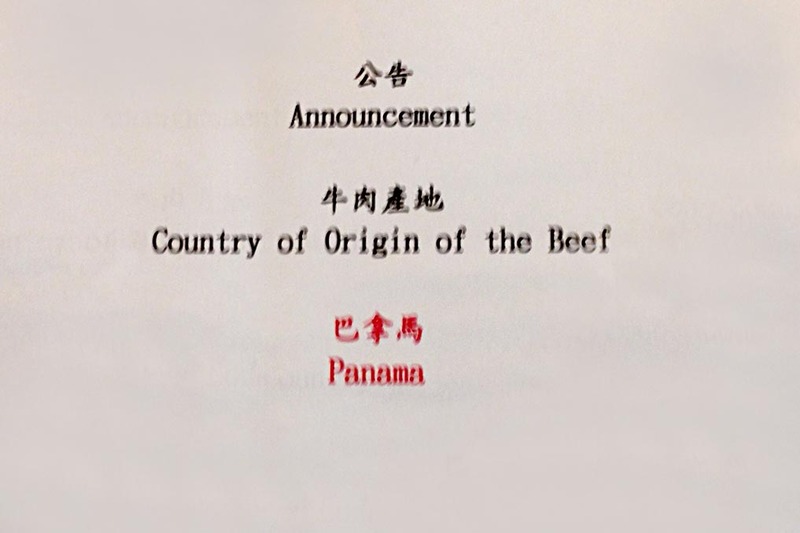 I particularly enjoy photos of signs, and this one takes the cake (beef). Hi Helen, nice sign! I like take photo of signs too. Interesting…. they don’t eat US beef anymore? Interesting to me that it was in the VIP lounge. I’m not sure why…it just seems they want to make sure the wealthy know they are getting non-american beef. Tree, I think they call it VIP lounge, if I remember right. Delta calls it sky club, I think. We usually don’t spend that money, but the flight schedule was so bad (had to wait 6 hours) so we did on that trip. I really enjoyed the story behind the photo, Helen. Odd but very interesting. Weird- didn’t know that about US beef. Might just have to google it. I would think its not with all beef? And I’m sure it’s because Americans want “lean” cuts. Very interesting. Thanks for sharing! Looked up Ractopamine – it’s banned as unfit for human consumption in Europe due to insufficient evidence for safety. But allowed in 25 other countries, including the U.S. Sounds like people with heart disease at most risk for side effects. Lovely. Definitely odd, Helen. Good find.